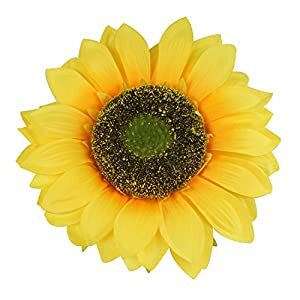 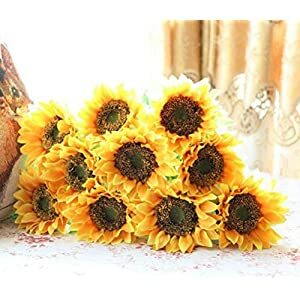 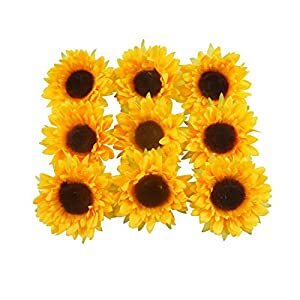 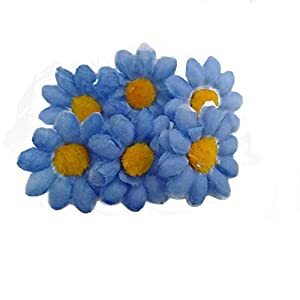 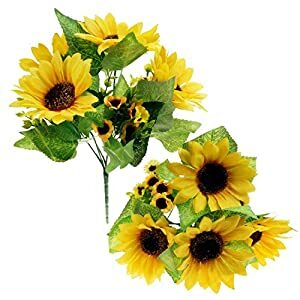 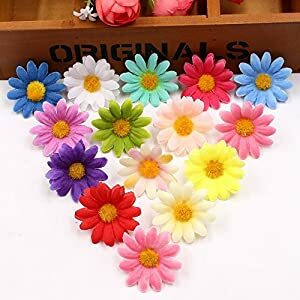 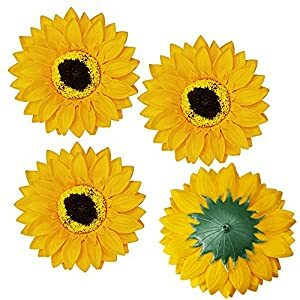 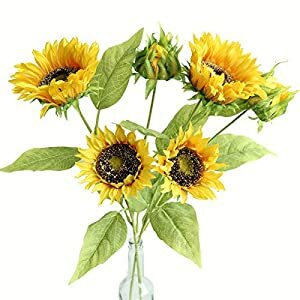 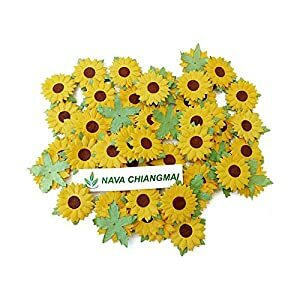 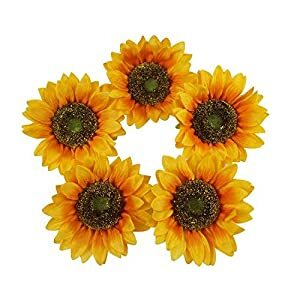 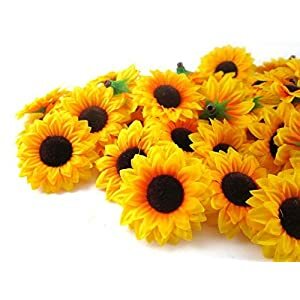 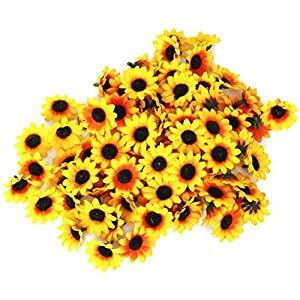 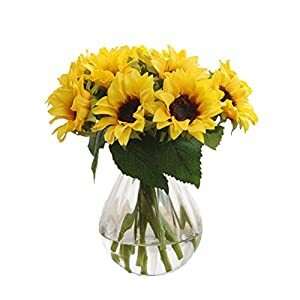 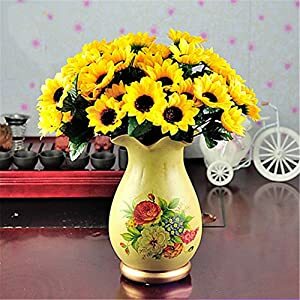 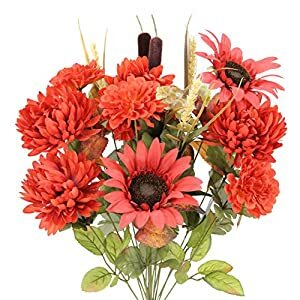 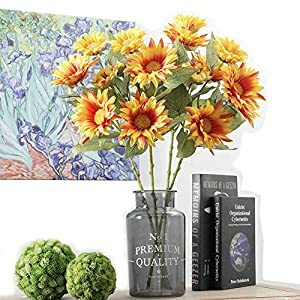 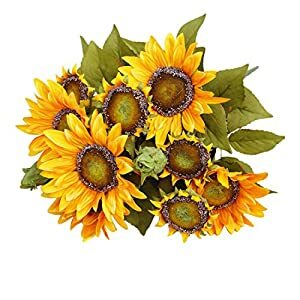 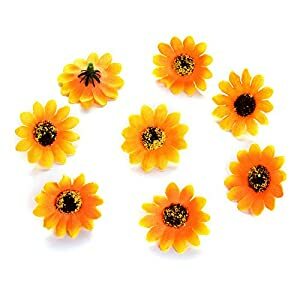 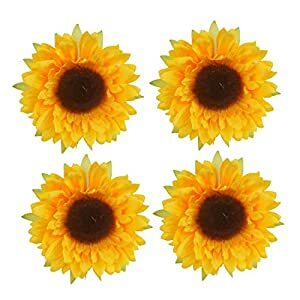 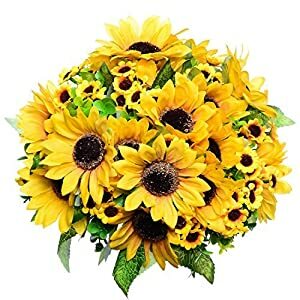 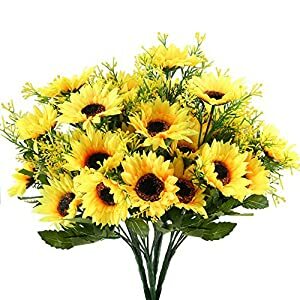 People love silk sunflowers flowers (technically Helianthus) mainly because of their round, clear shapes and bright colors. 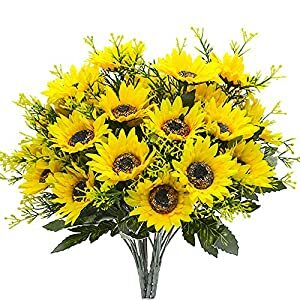 They are native to North America (although there are a few species in South America). 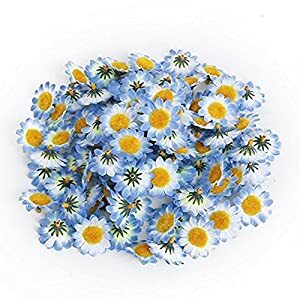 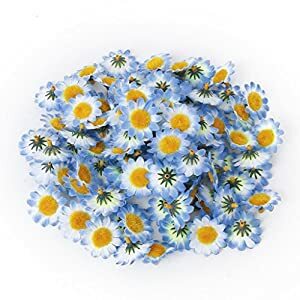 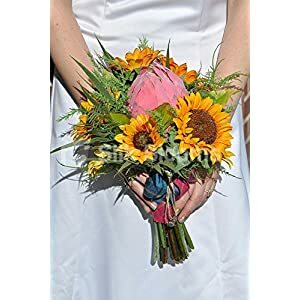 In summer they are among the favorites of many newlyweds. 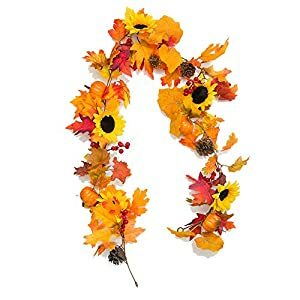 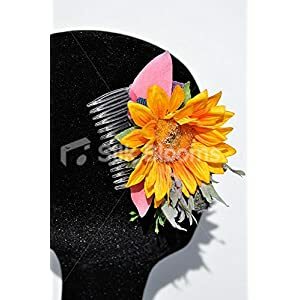 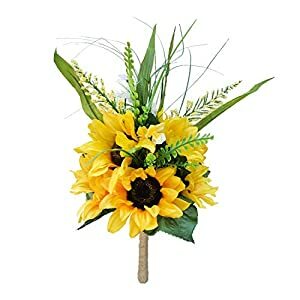 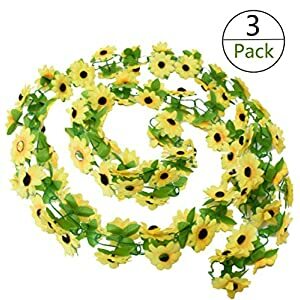 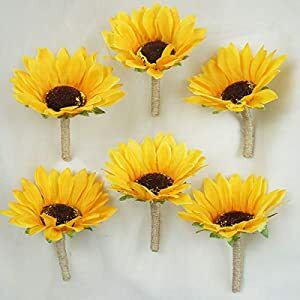 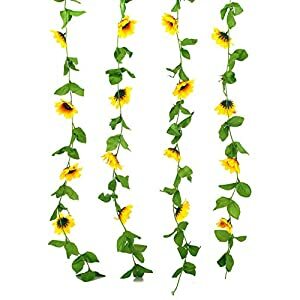 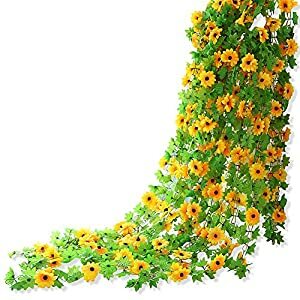 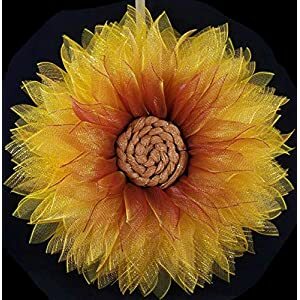 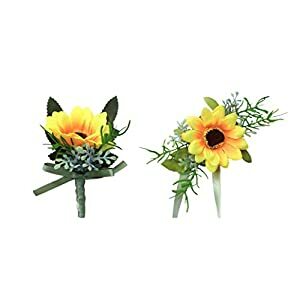 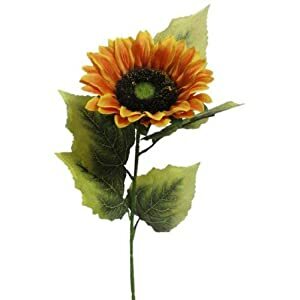 Using a silk sunflower decoration on your wedding is a really great idea. 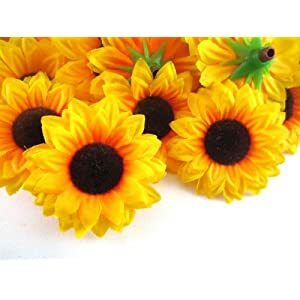 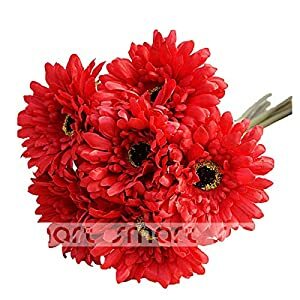 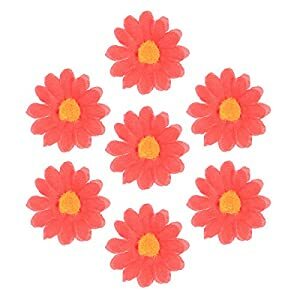 Its bright color will make the atmosphere cheerful and playful. 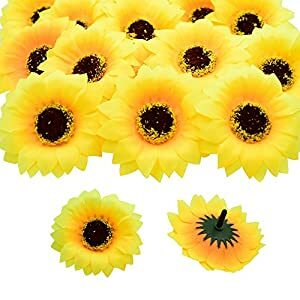 This is a detail that will be remembered for sure. 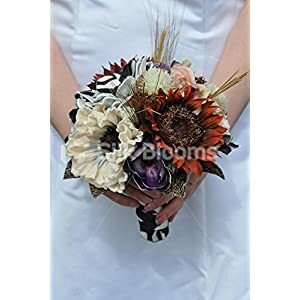 They are perfect for both – traditional and modern weddings. 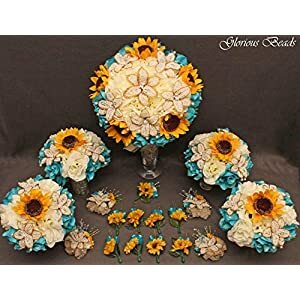 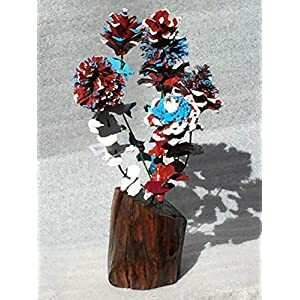 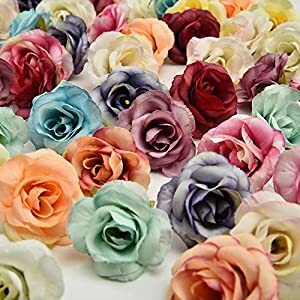 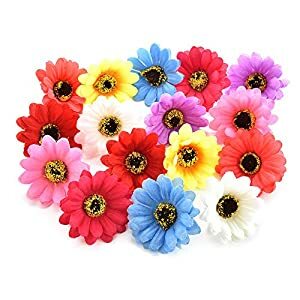 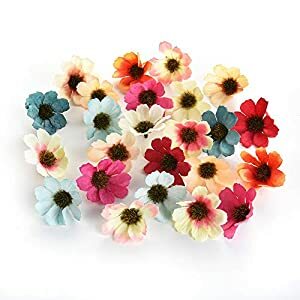 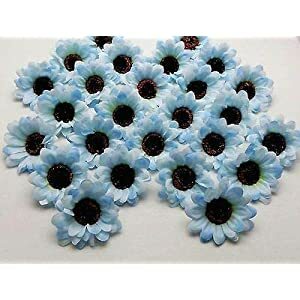 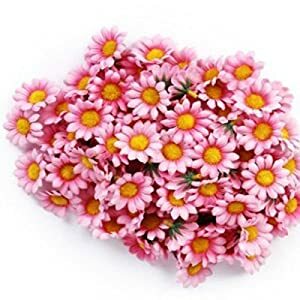 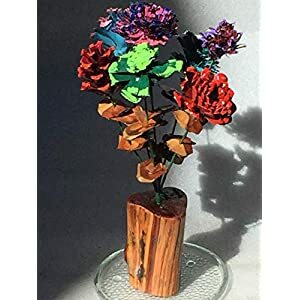 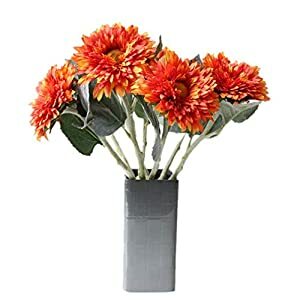 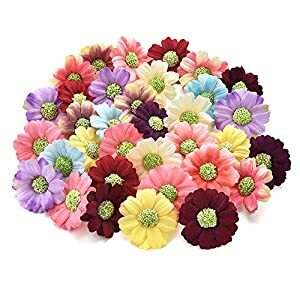 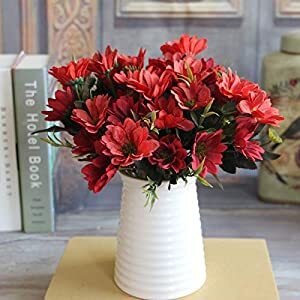 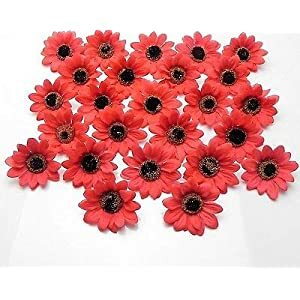 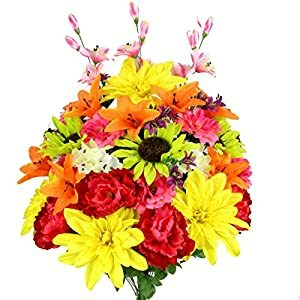 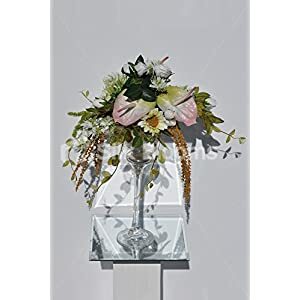 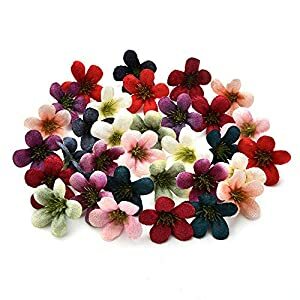 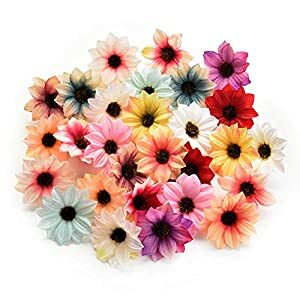 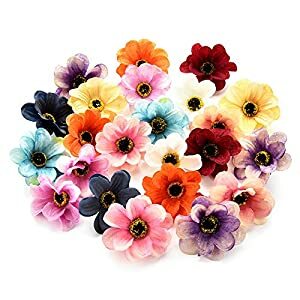 It is easy to combine with other types of flowers, so they can fit in with any wedding theme or home decor. 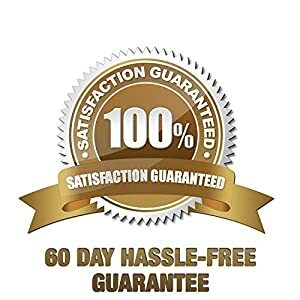 The point is to make it look classy and not to exaggerate with their number. 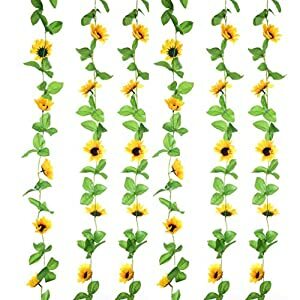 Sunflowers are cheerful, happy, and bright are only three of the many words used to describe silk sunflowers. 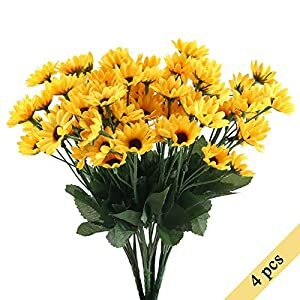 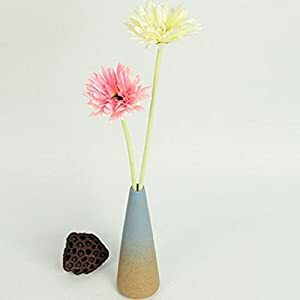 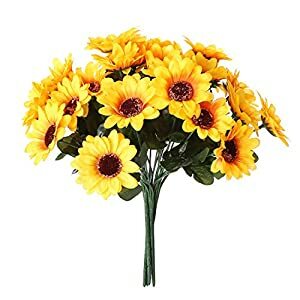 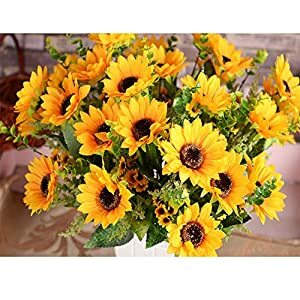 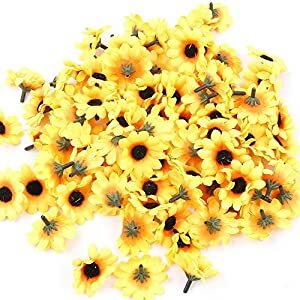 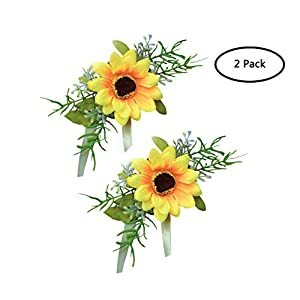 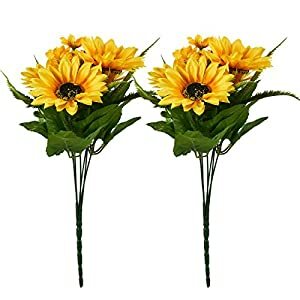 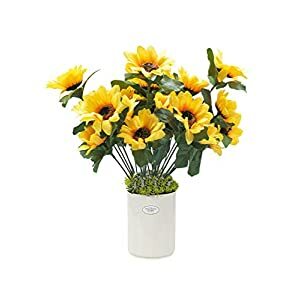 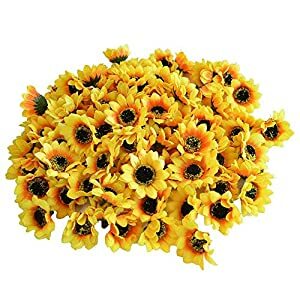 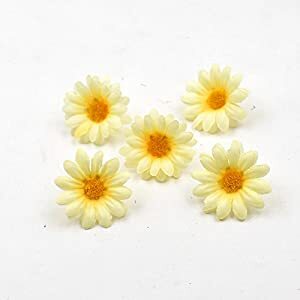 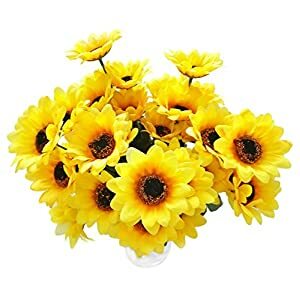 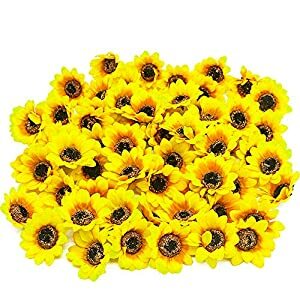 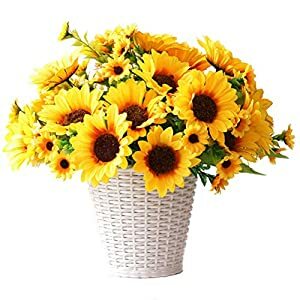 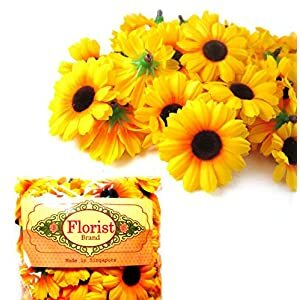 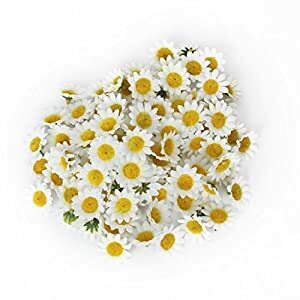 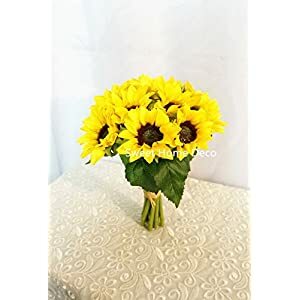 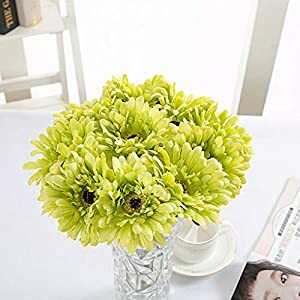 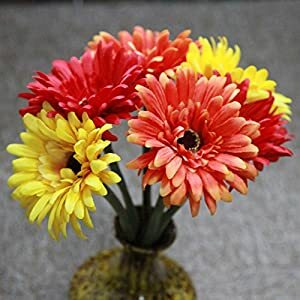 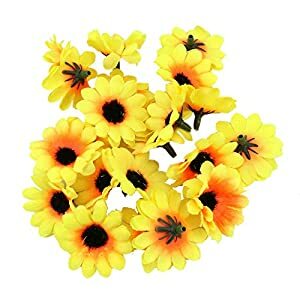 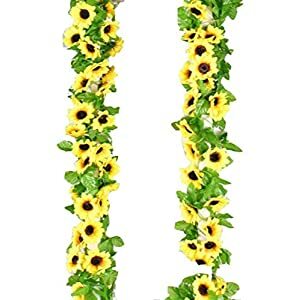 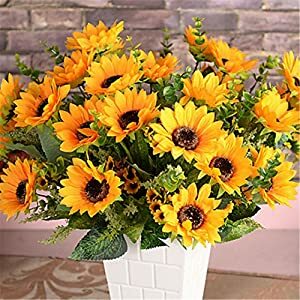 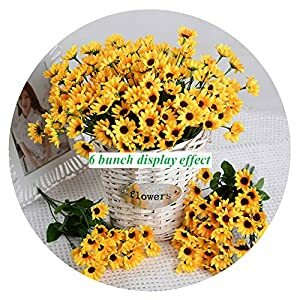 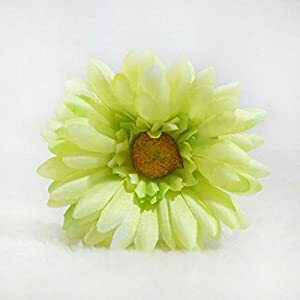 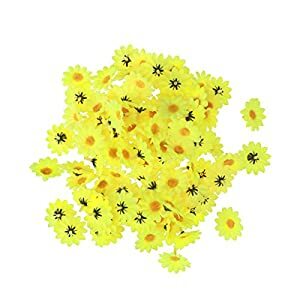 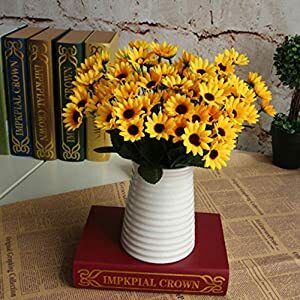 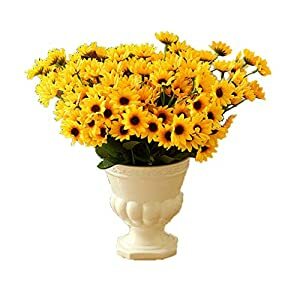 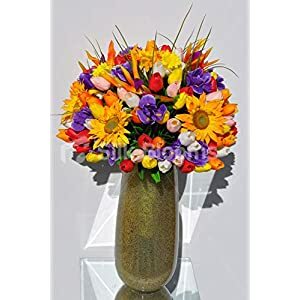 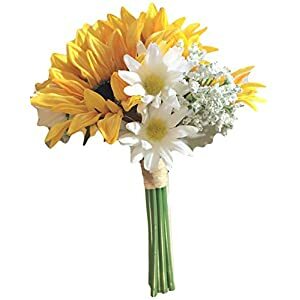 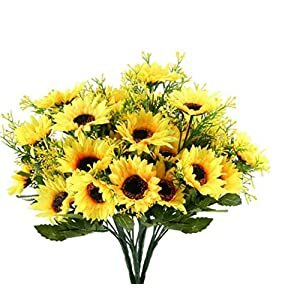 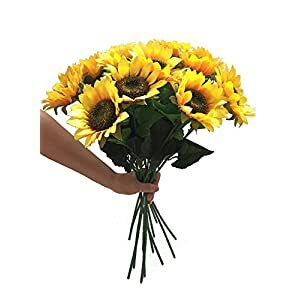 These tall yellow flowers are among the most popular flowers in the world today and have gained significant attention among florists, flower enthusiasts, and gift-givers alike. 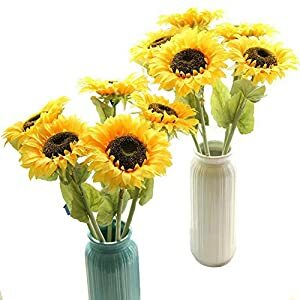 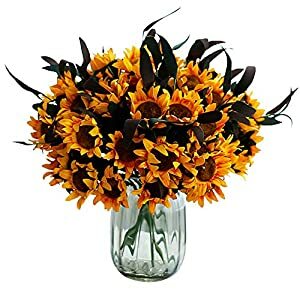 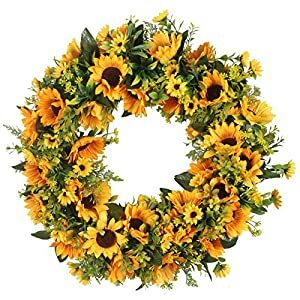 Sunflowers only come in one color, but their signature look and characteristics have made them the ideal way to brighten anyone’s day. 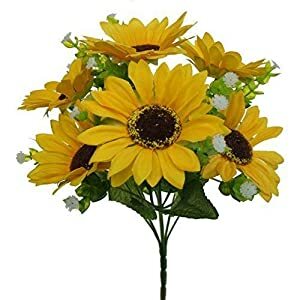 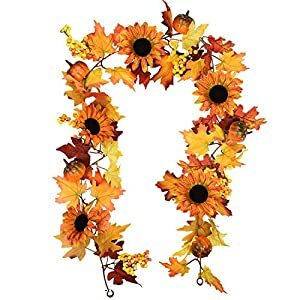 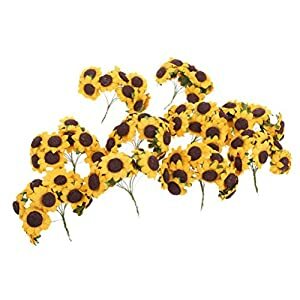 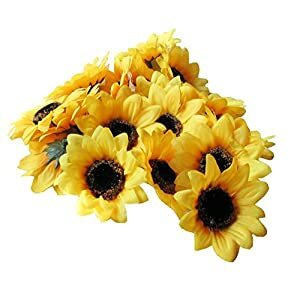 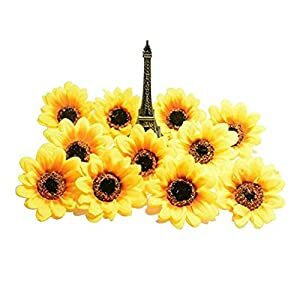 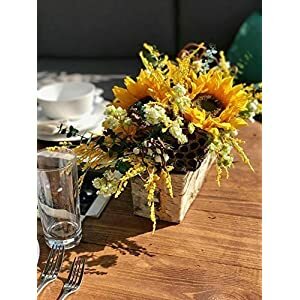 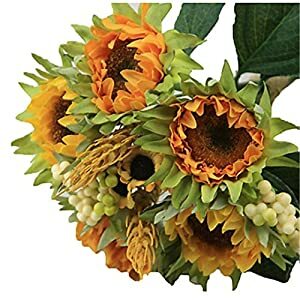 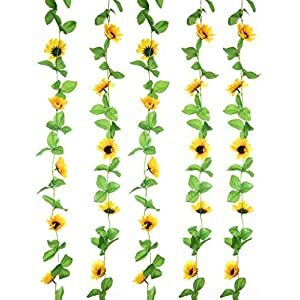 Sunflowers are a great way to decorate at parties, events, weddings, and other occasions. 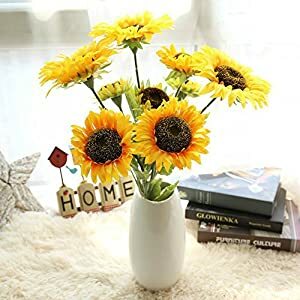 They also make the perfect gifts –whether it’s a mom, a friend, or a special someone, a sunflower will be sure to put a smile on their face. 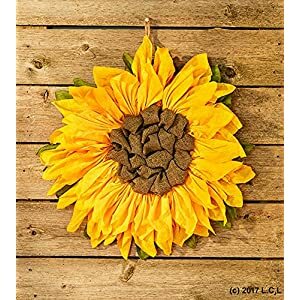 The best time to use a sunflower detail is July, August and September. 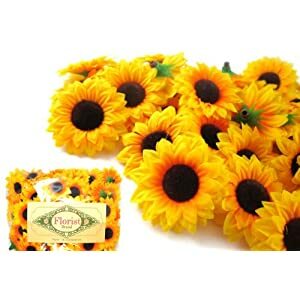 We hope you enjoy the very competitive prices, fast delivery and above all high quality!